Comfort inside when there is snow outside. 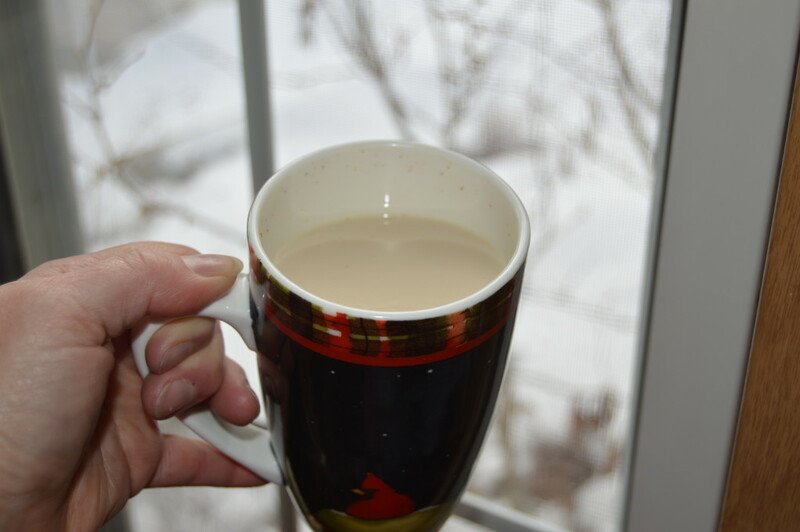 I can't remember when I first tried Chai Tea but I have loved the spicy, warm, soothing drink ever since. What I do know is that they can be pricey at a coffee shop of cafe so I decided to try to make my own a few years ago. 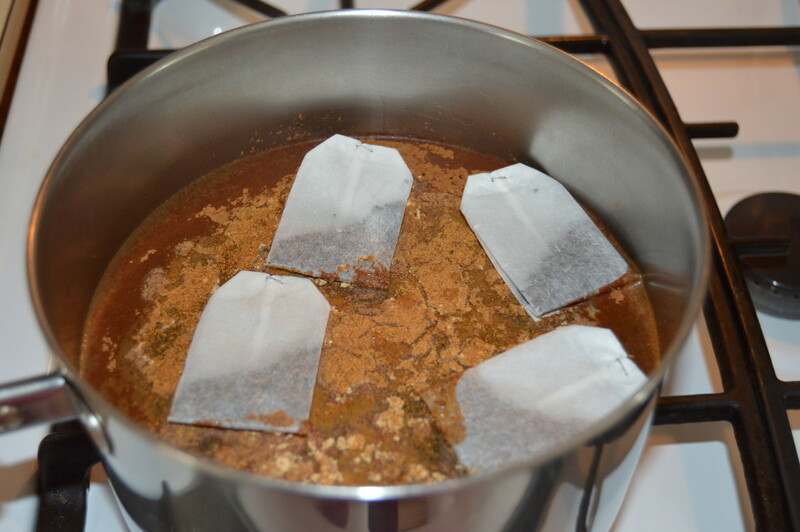 So, I did a internet search for Chai Tea recipes. There were a lot but many of the recipes seemed to be rather complicated. I don't have time to break up cinnamon sticks and crush nutmeg pods though I'm sure that the results would be wonderful. I finally found a simple recipe using ground spices on CDKitchen. I looked at when I printed the original recipe and I couldn't believe it but it was back in 2006. So needless to say I have been making this for a "few" years. The original recipe was not available when I did a search of the website today. Don't worry, I'm going to give it to you. Chai tea originated in Siam and India some 5000 years ago. It has since spread the world over. The wonderful spices that are used have healing properties according to alternative medicine. I just know that I feel better after having a cup. 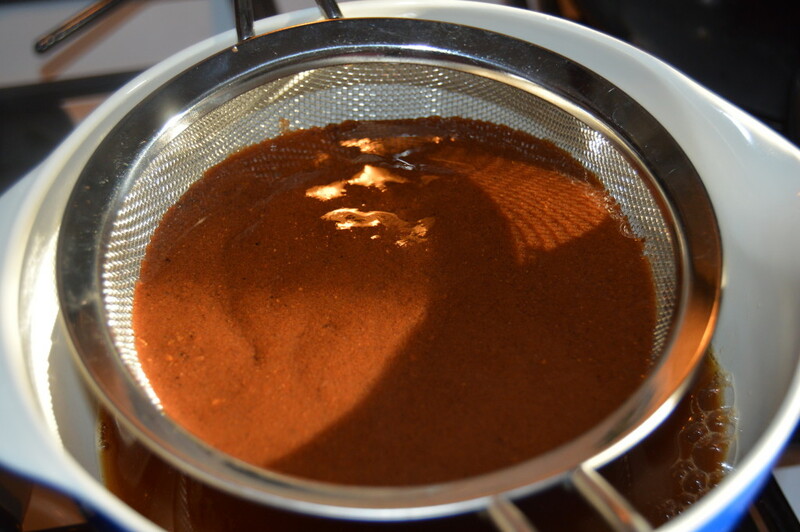 Traditional Chai has peppercorns in it but this recipe has a pinch of ground cayenne in it. 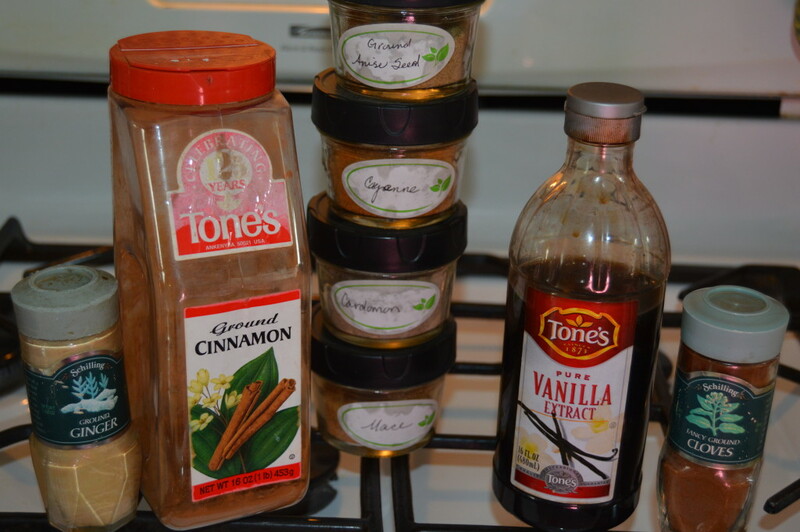 This recipe is for a concentrate that I then use to make a Chai Latte by adding milk to the concentrate. This recipe begins with 6 cups of water and when completed and filtered the concentrate fills a quart jar which I store in my refrigerator. Start with gathering the spices that you will need and 4 black tea bags. You can use bulk black tea if you prefer. You can find the spices at your local natural food store in bulk. They are usually much less expensive than buying them in the little jars like you see on the ends in the picture. I have been refilling these for more than 20 years because they are the ones that are on my spice rack. 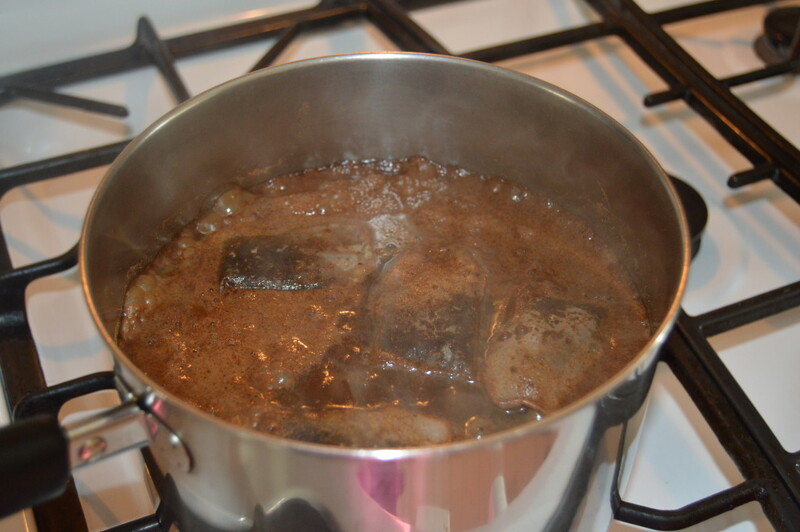 Once you have the spices together put the water in a sauce pan and measure the spices, honey, and sugar into the water. Throw in the tea bags or bulk tea. Give it a little stir and turn on the heat. Bring all these ingredients to a boil then turn to low and simmer for 10 minutes. Turn off the heat, add the vanilla and let everything cool. Once the sauce pan is cool strain the mixture. I put it through a mesh strainer first into a bowl. You will find that the spices have turned into a sticky glob. 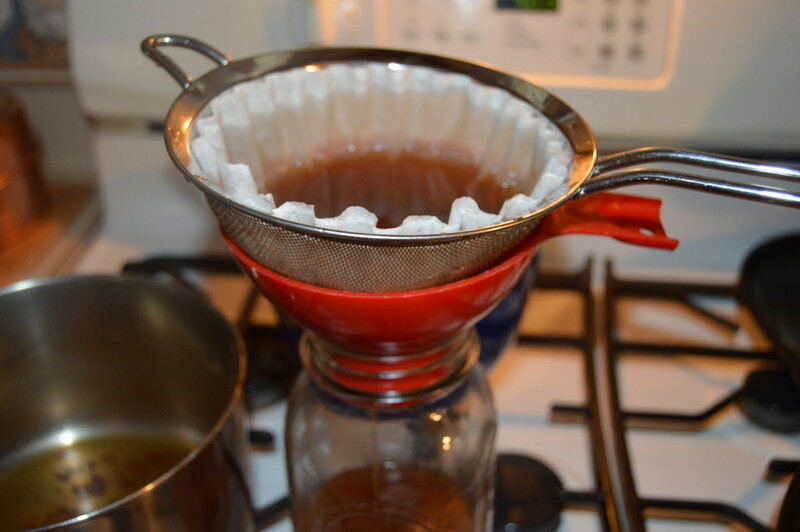 Most of it will come out with the strainer but I do a second strain through a paper coffee filter into the mason jar. You could also use a piece of cotton or cheese cloth. This just gets out most of the stuff that would make your Chai a bit gritty. Store your concentrate in the refrigerator until you want to use it. Usually I'm taking this to work so I use my insulated mug. I fill the mug half way with tea concentrate then the other half with milk then put the whole thing in a small sauce pan. I like to heat the mixture gently on the wood stove in a sauce pan but it can be microwaved if you just can't wait. By the way, your house will smell fantastic while you are making this. Have a nice hot Chai Tea Latte next time you want a hug in a mug.